Rip Curl Chino Shorts - Rip Curl Glory Dayz Walkshort 19 Chino Short - Pool Blue :: Men > Shorts. Materials: 98% Cotton. 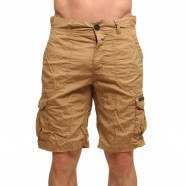 2% ElastaneLength: 19 inches/ 48.5cmRip Curl label to back pocketRip Curl label to side seamBelt loops to waistbandTwo pockets to backTwo pockets to frontRegular fitEnzyme stone wash with pigment dyeMen's shorts Size: one size,36 inch Waist (XL),38 inch Waist (XXL).